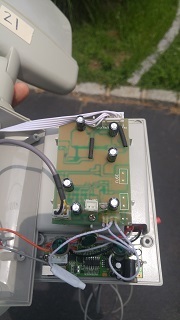 They have been heavily modified and the motion sensor at the bottom has been removed and replaced with a small custom AVR board that has an XBEE module on it. I have no information on the AVR board, but it does have an ISP layout on it so you could do something with it. Maybe. 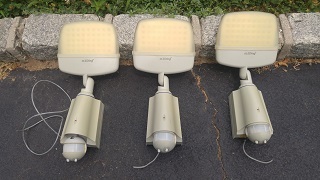 The LED's themselves are rather bright and do a decent job of illuminating a small room or outside area. 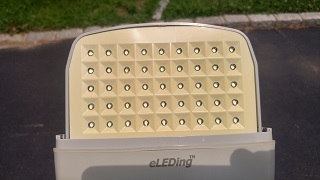 The solar cells can output 12vdc in bright sunlight. 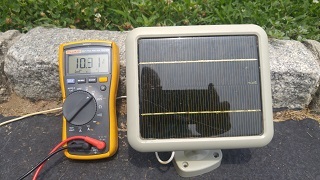 The picture shows 10vdc but it is rather overcast here. 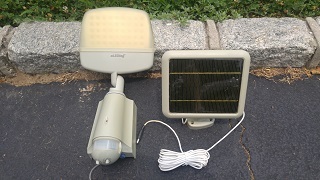 The spec is 10vdc/2.5W I have no idea if the solar cell can do anything with the lights as they have been modified. There is NO BATTERY included. They were removed and I have no idea what happened to them. I have run these units on 12vdc without issue though. 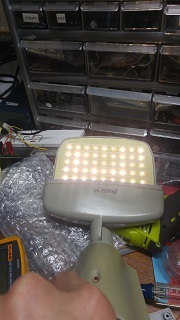 Basically these lights are a good hack for parts. 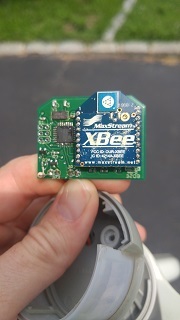 Hell the XBEE module alone is worth the 10 minutes to pull the unit apart. The units themselves are FREE of charge. You only have to pay for the shipping. You can have as many as you want, and this is a first come, first get offer. If I do not have enough to fill your request I will let you know what I have and you can say YES, or NO. Thanks to those who took me up on my offer. Your packages are either on the way, or will be in the next couple of days.